There are many lite versions of some of the most popular apps today, all aiming to make our lives easier and to lower data costs, as well as take a little less storage on your device and still work even when you have a terrible Internet connection. Now, Uber has bought a lite version of its app to South Africa. The company claims that "even with limited connectivity, mobile data or battery life," you will still be able to request an Uber to take you to your necessary destination. Uber Lite is far simpler to navigate than the full version. The menus are easier to navigate and have a sleeker, animated aesthetic, making it easier to use in a hurry. There's no map either, and no long loading time as a result. When you open the Uber Lite app, it simply finds your location, asks you where you want to go and then loads a list of prices and how far away you nearest ride is. It's only once you confirm your Uber that you have the option to view the map to see where your driver is, or your route. It features a better user experience, especially for phones with smaller screens or slower hardware, and is notably less stressful to use. 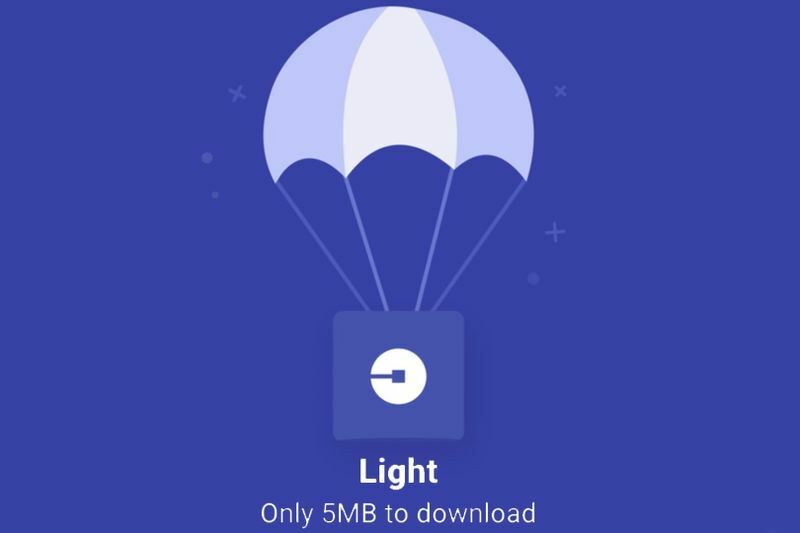 The regular Uber app is a 45MB package while the Lite app is as little as 5MB. So, basically all you will be missing out on is the rich graphics and heavy app size. It is good to know that when you use Uber Lite for the first time, you would assume that your card details were loaded from the full version when you signed up. Instead, it is automatically set to a cash payment, which Uber no longer allows you to change once you've booked the ride. So when you download the app for the first time, be aware of this and change your payment option to a card, and upload your card details, or make sure it is the correct information. Uber Lite's de-cluttered, clean design is great for those who find the full version too overwhelming. The only thing we would recommend is for the app to prompt users for their preferred payment method before they confirm their ride.